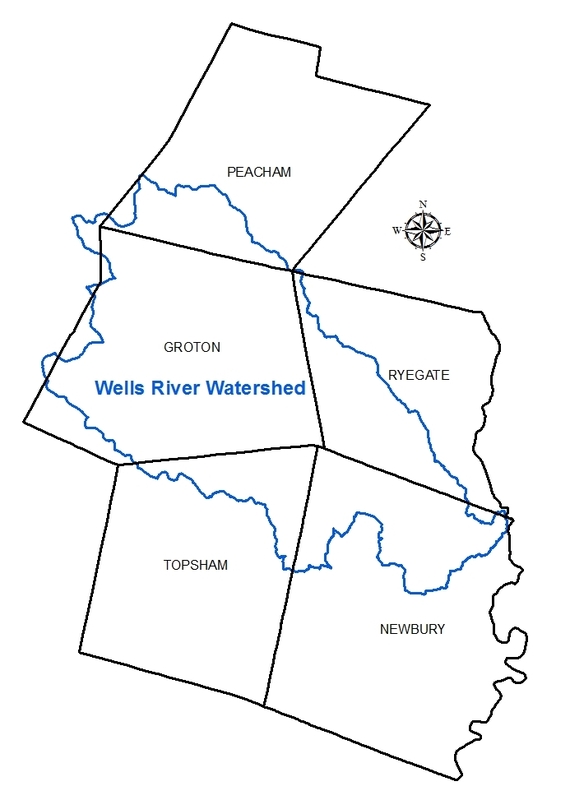 The Wells River watershed drains approximately 100 square miles in the towns of Peacham, Groton and Ryegate in Caledonia County, as well as Newbury and Topsham in Orange County. The headwaters are located in Peacham near Osmore Lake and flows southeast to join with the North and South Branches in Groton. The river continues through the town of Ryegate and Newbury and drains into the Connecticut River in the village of Wells River. There are seven large lakes and ponds in the Wells River watershed including Lake Groton, Kettle Pond, Ricker Pond, Ticklenaked Pond, Osmore Pond, Noyes Pond and Levi Pond. The Wells River Watershed has been studied in the town of Newbury, a Phase 2 stream geomorphic assessment completed by Redstart Consulting, Inc in 2008. A link for the report from this study is below. The rest of the main stem and its tributaries are scheduled for Phase 2 assesment in 2015. For the Wells River Watershed River Corridor Plan, click here to visit the State’s full list of reports, and scroll to Wells River.